This event "Sprinkles of Self Doubt: English Stand-Up Comedy Show" @ Il Kino has already ended on 01/30/2016. 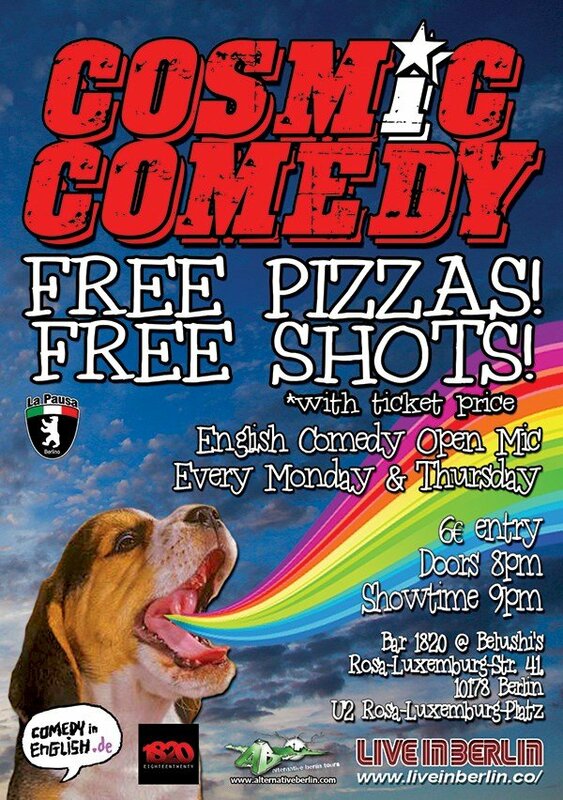 Alex was born in Russia, raised in Russia and Germany, and then came to Berlin to do comedy in English. He hosted " The Nose", an open mic in Wedding for a year, and is currently the host of The Campfire" , "Teepeeland Stands up" and "Sweet Comedy" He performed all over half of Germany, pretty much everywhere in Holland (There are like three citys there.) and New York.